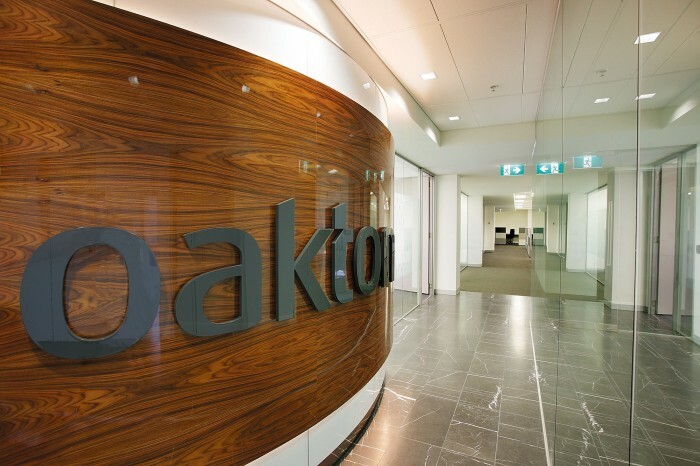 The requirement for Oakton business model was of a professional and conservative nature, level 8 which was the operational level insist of meeting rooms and office along the perimeter and large L shaped workstations in the centre of the floor. On level 9 was hot desking call centre types workstations to house other semi permanent staff for the business. The finishes and materials used for the front of house was kept minimal, timeless and professional with dark timbers and simple fabrics with accents of colour in the tearoom areas. The overall space gives a feeling of a professional, harmonious and open space for the staff and essentially creating a workplace where they were proud to welcome their clients.